Spa set in the rainforest with private rejuvenation pools to star at eco-friendly Viceroy in Panama Archi-new - Free Dwg file Blocks Cad autocad architecture. Archi-new 3D Dwg - Free Dwg file Blocks Cad autocad architecture. 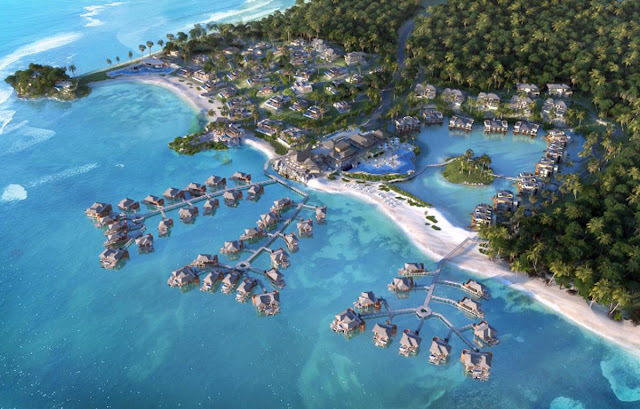 Viceroy is set to open a resort and residences in Bocas del Toro, Panama, with dramatic overwater villas and three miles of private white sand beaches. Due to open in 2019, the Viceroy Bocas del Toro will also include a spa featuring private rejuvenation pools tucked in blossoming pockets of the rainforest. The 42 overwater villas will each have their own private plunge pool and direct access to the ocean by deck. The destination is accessible only by boat, seaplane or helicopter, adding to the sense of exclusivity. Viceroy Bocas del Toro will be an eco-friendly destination, and will only allow electric cars and sustainable technologies. Its outdoor design has been planned with indigenous plants and tropical specialties that will be used in preparing local cuisine for the restaurants. The resort is a partnership between VHG, West Resort and Hospitality Investors Group. Zurcher Arquitectos will oversee the development and Wimberly Interiors will be responsible for the interior design. Active activities such as rainforest zip-lining, snorkelling, sailing, paddleboarding and deep-sea fishing are also available, and the San San Pond Sak wetlands, a biologically diverse tropical coral reef is nearby, where guests can find bicycling, eco-hikes and bird watching.